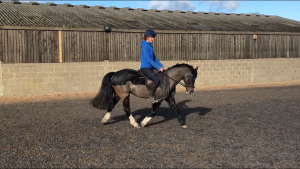 Description – Stig is a Black, 13.3hh, 13 year old, Welsh x gelding. History – Stig arrived at Bransby Horses from Cardiff after being found abandoned. Behaviour & handling – Stig is a very cheeky boy with bags of character, he can be a bit mischievous to catch at times and test the boundaries however this is not something a competent handler cant manage. 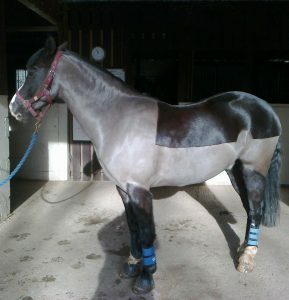 Perfect match – Stig is a cracking pony who needs a quiet competent rider that will bring out the best in him. 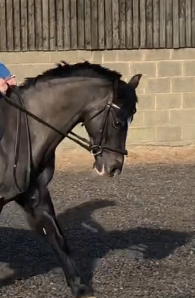 He really enjoys his schooling and works very nicely, he is capable of doing a very nice dressage test too. Stig also loves his hacking but is better suited to quieter roads or off road hacking. Stabling/shelter – Stig is good to stable with other horses next to him. Companions – Stig has always lived on a livery yard in his own field with horses next to him. Forage/feed – Lives on grass all year with hay over the winter months. Rugs – Stig is currently clipped so will need rugging accordingly. Feet – Good with the farrier and is fully shod.